November 13 was World Kindness Day. I’m happy to report that despite news to the contrary, kindness is alive and well. After all, kindness is simple. 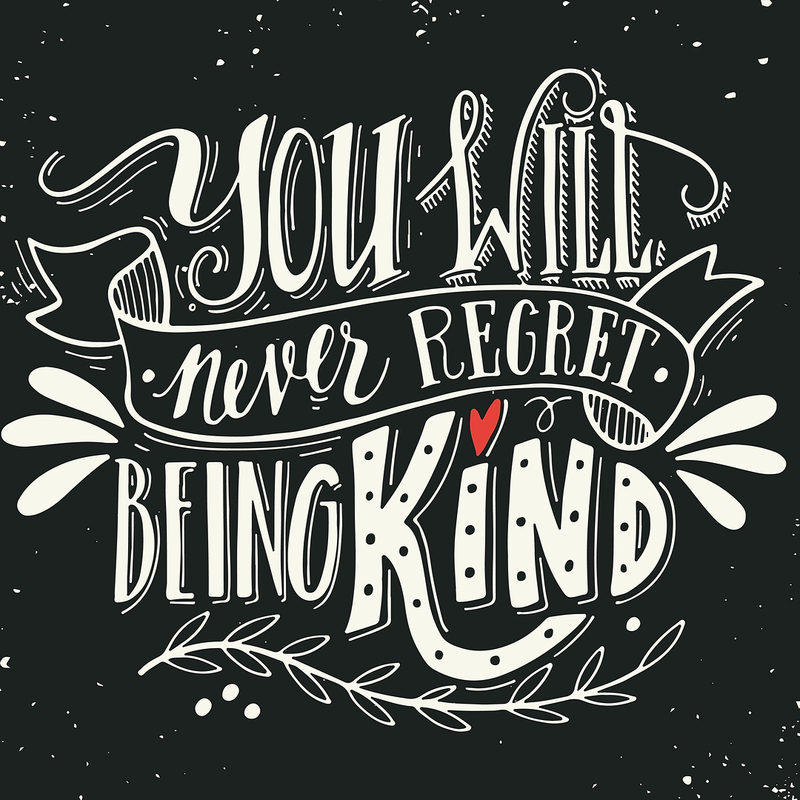 shares 3 simple ways to be kind. Discussing simple ways to be kind, Carter and her daughters came up with some ideas. They decided that every time they walk into an elevator, they would make eye contact with one person, possibly offer a smile and maybe even a few words. Along with the small things, Carter’s family also believes in some bigger gestures. Every few months, they make care packages for the homeless. They fill bags with things like water bottles, socks, lip balm – things her daughters think will help the homeless. I would urge you to watch Chris Rosati, father, husband, friend and founder of Inspire Media who was diagnosed with ALS in 2010. Chris slowly lost his ability to walk and speak. He is devoting the rest of his life to spreading kindness. Kindness is simple. Give it a try today. 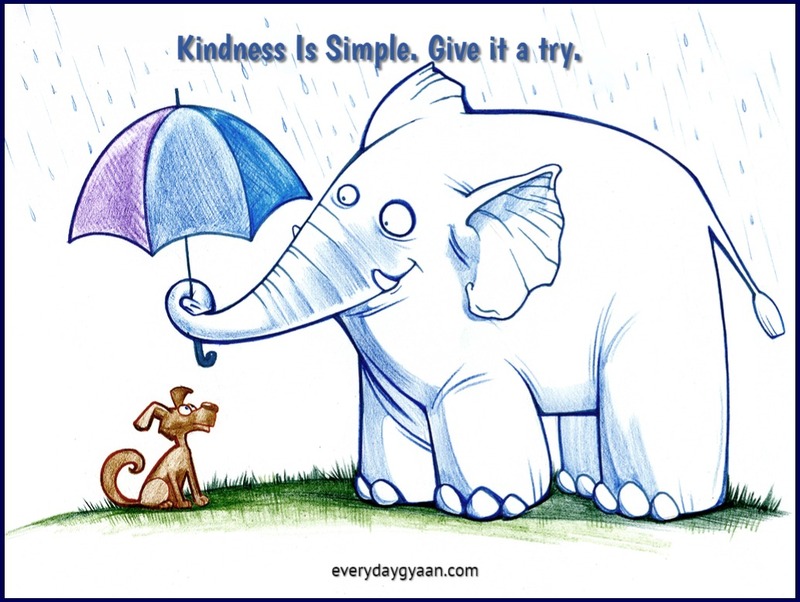 Check out the Random Acts of Kindness website for more ideas to be kind. It really is the little things that affect others in such a big way. Holding the door open, saying please and thank you, a smile, etc These are the things that don’t noticed as much when you do them, but is super noticeable when someone doesn’t! Great reminders. Great reminder that connecting with eye contact, smiling, holding open the elevator door, any door, can mean a lot to another person. These are lovely ways to spread kindness. Connecting with others is so important. Everyone needs to feel acknowledged and important. Absolutely, Tamuria. Thanks for stopping by.